The best way to get up and running with Ableton. Whether you’re a total beginner or a somewhat experienced user who struggles to finish tracks, this course will give you the foundation you need to produce music confidently in the genre of your choice. Learn Ableton. Develop a Workflow. Make music you and have fun doing it. THERE ARE A LOT OF ABLETON COURSES OUT THERE. Your instructor is Lenny Kiser, an Ableton Certified Trainer, producer, DJ, and audio engineer. Read his full bio below. You get access to the same world-class curriculum we teach at our music school, Sequence One, in the Bay Area. Learn by doing. You’ll start with a blank Ableton project and walk through the entire process of producing a track. This course was professionally produced, and it includes 60 HD videos — that’s over ten hours of training. We provide you with all the Ableton Live project files and samples you need to complete the course lessons. Use the Comments feature on the course videos to get help from Sequence One instructors and fellow students. I went from knowing nothing to being able to teach my friends step-by-step how to create a song. Lenny Kiser is an Ableton Certified Trainer, producer, DJ, and audio engineer. Lenny has been producing music for 15 years, and he has releases on labels like Dirtybird, Perfect Driver, and Confession. He currently teaches Ableton Live courses at his Oakland-based school, Sequence One. Lenny also organizes the Bay Area Ableton User Group in San Francisco. Before starting his own program, he taught classes and workshops at several music production schools, including the Academy of Art University, San Francisco State University, SAE, and Expression College. With a background as a trained audio engineer from the Conservatory of Recording Arts and Sciences, Lenny has developed an in-depth technical knowledge of music and sound. He enjoys teaching and dedicates his time to helping others learn Ableton and the creative processes involved with producing music. He loves the challenge of teaching complex sound and musical concepts to his students in an intelligible and straightforward way. The best way to learn Ableton is by getting your hands dirty and using it to produce a song, and that's what you'll do in this course. Not only will you learn how to competently work with the software, you'll also get a full primer on the music production process itself. Be sure to check out the promo for an overview of the course content! Expand the full curriculum below to access free previews of a few of the video lessons. We'll give you a refund within 30 days if you're unhappy with your purchase. Our courses are 100% guaranteed. "This is thorough, quality training from beginning to end. 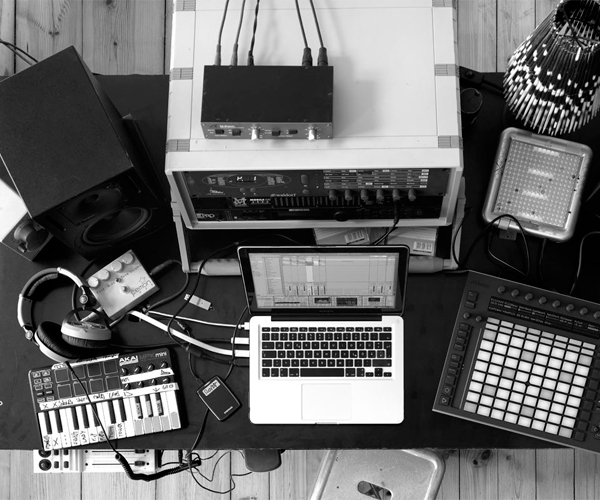 If you've ever felt intimidated by Ableton or music production, this course breaks it down really well and tells you only the things you need to know." "Overall, a superb course. I've done a few Ableton/general music production courses, and this is hands-down the best I've come across. It's informative, fun, and the format is just right. It's worth it even at double the price. Well done!" "Very easy to follow along. Trustworthy source. This course is comprehensive, but tells a simple story of how to create a song in simple steps. It gets you from 0-to-pretty-damn-knowledgeable quickly. I went from knowing nothing to being able to teach my friends step-by-step how to create a song." "As a user who isn't totally brand new to Ableton, this course has given me a lot more confidence in feeling like I can capably make music going forward. From workflow to music theory to song structure to the user interface, this course has been MASSIVELY helpful. I'm already using a lot of keyboard shortcuts to navigate Ableton and speed up my process. If you want to learn Ableton, start this course IMMEDIATELY. Without this course to help me from the beginning, I feel like I wasted a year struggling with complex software rather than getting to the fun part of producing actual music." "There were so many things I loved about the course: 1) Lots of information and details, yet easy to follow; 2) I was happy to see foundational elements included (gear setup, audio vs MIDI, music theory, production phases, organizing projects, etc.) and the sequence of chapters seamlessly flowed into each other; 3) The aesthetic of the video was extremely professional and clean; 4) Lenny's pacing didn't feel rushed and loved that he threw in some humor; 5) It was awesome that I could play back a part of a video or revisit a past video when needed." Which version of Ableton do I need for this course? To open the project files, you'll need Version 9 of Ableton Live. The instructor is using Ableton Suite, but workarounds and suggestions are provided for students who have Intro or Standard.